Perhaps these conclusions may seem ruthless and even cruel to someone. The Holocaust Memorial Day rightfully provokes a lot of emotions and pain in people. And yet after this day, let’s look at this phenomenon from a scientist’s point of view, who investigates the causes of the Holocaust so that it will never happen again. We are talking now as biologists studying the human body. They do not think how sorry they are for a person who is dying from a cancerous tumor that spreads in his body, but they discuss the very phenomenon that occurs between the cells inside the body. After all, only by looking at this phenomenon in this aspect and accurately finding out what is happening in nature, without adding our emotions here, will we be able to reveal the objective truth. And then we can really do something to change the future and prevent a Holocaust happening again. In the end, it is natural that everything that happened had a reason and was not just an accident. Therefore, we need to find out how to cleanse ourselves and the entire world from this scourge. The wisdom of Kabbalah explains that our whole life proceeds according to the laws of nature. Nature is equivalent to the upper force, the Creator, and we exist within its laws. The ordinary sciences of this world reveal physical laws to us. But there is another more general science called Kabbalah, which reveals laws that exist on a higher level, from where all forces descend into our world. These forces build a power network in our world, whose laws are studied by ordinary sciences. Humanity has experienced many significant events throughout its history: both good and tragic. Therefore, it is worthwhile to find out their cause and effect, depending on our reaction to them. Then we can choose the right form of behavior in our world for the future. The Kabbalists approach to humanity’s history is to learn by analyzing these events, like in a laboratory: where are we and in which world, that is, in what system of forces? How do they affect us according to how we change from generation to generation? And how can we respond to them in order to protect ourselves from such tragic events that we had to endure in the past. This strictly scientific approach can be called unfeeling and even inhuman. But we are talking about the laws of nature about which we want to receive the purest knowledge, not adding our subjective opinion, in order to understand what is happening. And our attitude and personal emotions should not distort the picture so we can really find out which laws take course and what our reaction should be. It’s good when people are concerned about the Holocaust and express their solidarity with its victims. But, unfortunately, this does not guarantee that in the future it will not happen again. Therefore, we need to study this phenomenon thoroughly and learn how to protect ourselves from it for the future. We need to understand that this hatred comes from the divided forces in the system of the common soul, which is called the “first man,” Adam HaRishon. One part, the people of the world, suffers and cannot do anything because it is the body in relation to the other part of Adam’s soul called the head (Li-Rosh) or Isra-el. 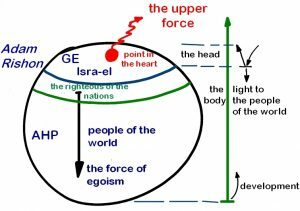 Everyone else depends on the Israel part because it has a special property—a point in the heart, a part of the divine from above, an additional power that is inherent to all creatures apart from egoism. The people of the world and Israel are in essence the same people because all of humanity came from ancient Babylon. From the very beginning, there was no difference between the two groups. But in one group, a point in the heart begins to awaken, and this process continues to this day. Every person in the world can be favored with the fact that a point in his heart will awaken in him, and according to this, he will immediately begin to relate to Israel, to Yashar-El, straight to the Creator. Then there will be a desire for the upper force, and he will begin to seek a connection with the upper force according to this point. This point has not yet awakened in the nations of the world; only the force of egoism operates in them, taking everything to itself. All this system has to fully reach the Creator. It turns out that this process depends on the Israel part, and the nations of the world represent the passive part that follows Israel that leads them. Israel is the head and other nations are the body of the common soul. Therefore, only because of Israel, all the negative things appear in the body. And as we proceed, they will come up more and more, because development is incremental from the bottom to the top. Question: How can I relate to the predictions of a Kabbalist who says that soon there will be no money or work? Could it be that the situation will continue for hundreds of years more? Answer: I assure you that this situation will not last hundreds of years. Of course, we are not going to abolish work, pay, and all human relationships. We are only talking about where nature is leading us so that we will understand what is happening with us. I am not saying this because I am a prophet but because I understand the general trend of the development of the world and I see that Trump is closer to this trend. I only said that his approach was in accord with nature and that he will lead us in the way of Achishena (I will hasten it – Isaiah 60:22), in a good way. Understanding the general direction of human development is necessary for us. It is necessary to know this and explain it to all people because this affects everyone and spiritual work affects only those who have a point in the heart, those who must find the meaning of life. So, we deal with those people separately and personally. #IsraelIndependenceDay #YomHaAtzmaut – We’re independent when we’re united as one Family. #ClimateMarch – What noble intentions by those who don’t know Earth’s system, picked up by politicians & corrupters. And use them for evil! #ClimateMarch – man’s influence on humanity and world (or rather, on the governing upper system) depends ONLY on the measure of people uniting! #Israel’s Independence Day is the start of independence from our egoistic nature. The day we rethink the purpose of our people’s existence. Question: What is the collective mind from the point of view of the wisdom of Kabbalah? Therefore, the mind is a sum of wandering signals that fill the system of connection between separate elements, people, or souls. Of course, there is something that is revealed to the souls and that which is not yet revealed. Therefore, we can talk about the subconscious since there are four levels of revelation in each one of us and only the last level gives us the full and conscious existence, meaning that all the previous levels are found in the subconscious level. If they come from us, then we can manage them; if they come from above, then we practically don’t feel them. But there is a possibility to foresee them. This is not fortune telling, but some prescience, some actions that cause the appearance of reason, that give us an idea of the inner mind (subconscious). Question: In our world, most of a person’s states pass unconsciously. The reality that we perceive consciously constitutes a tiny part, a few percent. How is it in spirituality? Answer: In the spiritual world, everything happens relative to a person who consciously summons his states: previous ones, those that are happening now, and those that will follow. In each of them is a part of the person himself, meaning a part of the creature and a part of the Creator. He determines our states in cooperation with us. By definition, He could be first, and maybe the second. But if we seriously comprehend all of our states, we will then begin to determine and define the Creator as the root cause. The desire with which a person came is the “woman” with whom he began to work. However, he leaves everything because he doesn’t see the results. Instead of connecting with his dream and moving on, he begins to hate her and runs away. “I took this woman, and when I came to her, I did not find any evidence of virginity for her” means, that she isn’t mine. I can’t use her in order to create my future world, so-called offspring, together with her. This desire doesn’t relate to me and I can’t control it. Torah, Deuteronomy 22:15: Then the girl’s father and her mother shall obtain evidence of the girl’s virginity, and take it out to the elders of the city, to the gate. This is a revelation at the upper level, on the quality of Abba ve Ima. It refers to those people who begin to face clarifications and analysis on the spiritual path. They don’t run away from emerging problems, but such complexities do exist for them. A “virgin girl” is a person’s personal egoistic desire, not one he received from someone. This is what we need to prove. To “obtain evidence of the girl’s virginity, and take it out to the elders of the city, to the gate” means to raise the desire from Abba ve Ima to the next level. Question: Can I study the wisdom of Kabbalah a bit later in life after I fulfill my commitments to my children, attain material benefits, and achieve stability? Answer: You can if you have time, it is your business. Question: My world exists as long as I exist. Does that mean that true happiness is actually my existence? Answer: True happiness is when you attain the Creator and discover that you are bringing Him pleasure. Then you are at your uppermost spiritual point, which is complete revelation. Question: Is friendship and love in our world a desire to receive? Answer: Yes, an egoistic desire to receive is called love. 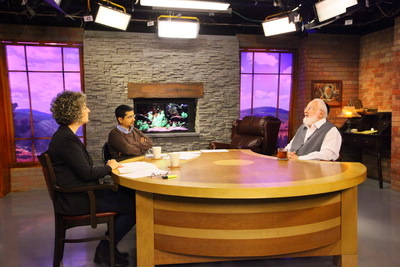 Question: How does the wisdom of Kabbalah relate to marijuana? Answer: Kabbalists don’t consume drugs because drugs interfere with one’s thoughts and don’t allow a person to properly sharpen his feelings. Drugs divert us to different physical trips. Question: Can a Kabbalist befriend death? Answer: I don’t know what it means to befriend death. A Kabbalist relates to physiological death as to an unavoidable state of the body in which he exists and with which he identifies at the moment and nothing more than that. True life is actually above the physical body. Why is every Jew drawn toward correction and separation simultaneously; why does the feeling of belonging to the people and the nation that connects us wane, and how can we return to being united? Spiritually, we have not succeeded in rebuilding the Jewish people and therefore we are not drawn to the land of Israel. The method for building the people, the land, and the nation is unknown to everyone except the Kabbalists.